The Pop Super Star, Ella Henderson, Discusses Working with Ryan Tedder and How Her Song “Ghost” Has Transformed Her Life! 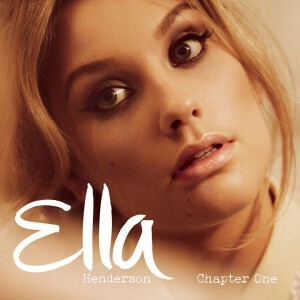 The British singer-songwriter, Ella Henderson is currently climbing the charts with her hit single, “Ghost”. 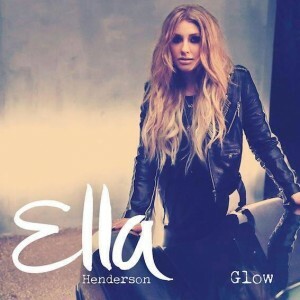 Co-written with Ryan Tedder, it was released earlier this summer and went straight to number one in the UK, remaining in Top 5 for eight consecutive weeks. Why do you think this is your true calling in life? I guess it’s all I’ve ever known and aspired to do! I couldn’t think of doing anything else but music. How have you grown as a musician since you started? I’ve definitely learned to open up more & to take on new challenges that I face. What music are you listening to now? Anything on the radio that you can’t get out of your head? It’s a really exciting time to be part of the music industry, there are some incredible voices coming through! I love Sam Smith, London Grammar & The 1975. Tell me about your latest release, “Ghost”. Where did the inspiration for it come from? Tell me about working with Ryan Tedder on it. Writing “Ghost” with Ryan was such an amazing experience. He heard a Drake cover I uploaded online – and it was from that moment where we met in London in a studio & ended up sat round a piano writing a chorus called “Ghost” within 20 minutes! This song happened really rapidly & I instantly knew it was going be my first single! I guess our characters are very different as he is full of energy & I’m quite chilled in the studio so our personalities really worked well with one another. What did you learn from Ryan Tedder? One thing I took away from working with Ryan is that it doesn’t matter what occupation you’re in – to be at the top of your game you have to work from the ground up & to never cut corners or skip a step. You used to write your own music alone but you have started collaborating with other songwriters. Do you prefer the collaborative songwriting process better or do you prefer to write on your own? It’s a mixture really! I mean I always thought I would work better with a small team surrounding me and they were the only people who would help guide me through my writing process. However I found that travelling to different countries and working with all different types of co-writers & producers, I was constantly learning new things & it really helped me grow with my songwriting. In the video for “Ghost”, you do an amazingly sassy power strut! What’s the secret to really pulling that off? And the video was shot in New Orleans? How fun was that? Haha well if you’d have seen me on the first take of power strutting … I wouldn’t have categorised it as a strut! Shooting my very first music video was a lot of fun! Also being in New Orleans was great because it has so much soul & jazz heritage which is the kinda music I was brought up on. This location was perfect for Ghost as it helped capture a dark & emotive performance all round… Being & experiencing somewhere so musically orientated was definitely inspiring before heading onto set. How do you typically capture the inspiration for your music? 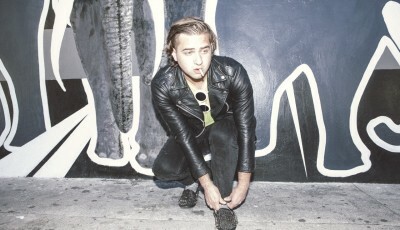 I always describe my music as my diary & it’s extremely autobiographical. This means whenever it comes to shooting a video or capturing content – I always have to make sure that everything reflects the mood I was feeling at the time of writing the song. Does “Ghost” set the tone for the rest of your album, Chapter One, which comes out later in the year? “Ghost” is the song that definitely sums up my album as a whole. It’s soulful, powerful & anthemic which is how I would describe Chapter One. So when you released “Ghost”, you had it follow a campaign called Ghost Trail? Can you tell me a bit about that? Yeh! So when it came to going into campaign with “Ghost” it had been a while since I had done anything major in the public eye. I wanted to come back into this with something fresh & exciting. So this is where the Ghost Trail idea spurred from as I wanted to give people the chance to discover my music creatively & a way that’s not been done before. We placed huge 3D art pieces along streets of cities all over the UK, we involved different apps like shazam, zappar & whisper & even did a surprise pop up gig performance for the fans. It was a fun way to get the ball rolling & to kick things off! How different is performing in the US then in UK? It’s funny you know, because when I perform in the UK everyone knows who I am and they have some sort of expectation for my performance. But when I come to perform in the US I get excited because it’s like starting from the beginning all over again, as not many people have discovered my music yet and there’s something quite refreshing about that. Are you surprised at the success that the single has had – it being your first single and all? It’s done so well on the charts and artists such as Tinie Tempah and Sam Smith are tweeting your lyrics! The reaction & support that “Ghost” has received is just insane! It was definitely something of the unexpected when it shot to No.1 back in the UK. I guess it’s thrown a bit of confidence back into me for knowing I made the right decision in taking my time with my music & not releasing anything until I felt ready. Living or dead, who is a musician that you would love to work with? I’d love to meet Adele one day as she tweeted her support for me back in my X Factor days. So performing a female power duo with her would be amazing! I have to say one of my best memories so far has to be when I performed at a festival back in the UK in front of thousands of people. It was the first time I had ever heard a crowd sing my song back to me… Just surreal! It reminded me of when I was little girl how I always dreamt of that moment! And yet there I was up on stage and it’s actually become my reality! People say I turn into an uncommunicative dolphin before I head onto stage. This is because I let out high vocal sirens & deep breaths which makes me sound crazy but it helps me calm my nerves & I put myself into my own bubble so no one can get into my head before my performance. When you aren’t performing or writing new material, what do you like to do for fun? How do you wind down? It sounds really cliché, but honestly I just love doing the normal things! I love hanging out with my friends, my family & my dog haha! I make sure that my time off is quality time spent with the people who make me the happiest & most positive so when I start a working day again I feel motivated. Is there anything in particular that you’d like people to take away from listening to your music today? I hope that when people listen to my music they can relate to at least one song from the album. Chapter One has its highs and lows & everything on there is simply of my own experiences in life. All I ever want my music to be is real, raw & honest & when I think back to the music that I listened to growing up- I loved it because I believed it! “Too Blessed To Be Stressed” – Q&A with Wes Finley of Reggae band, REBELUTION. 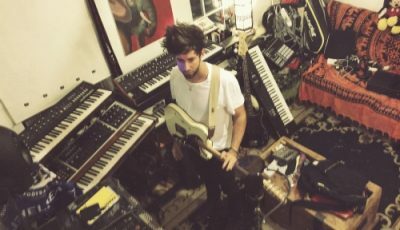 An Interview with The London-Based Musician and London Grammar’s Younger Brother, BRUNO MAJOR! 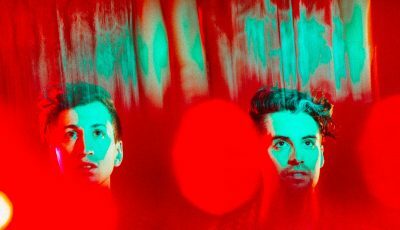 An Interview With The Brooklyn-Based Duo, SECRET WEAPONS!